Would you like to jailbreak your Amazon Firestick? 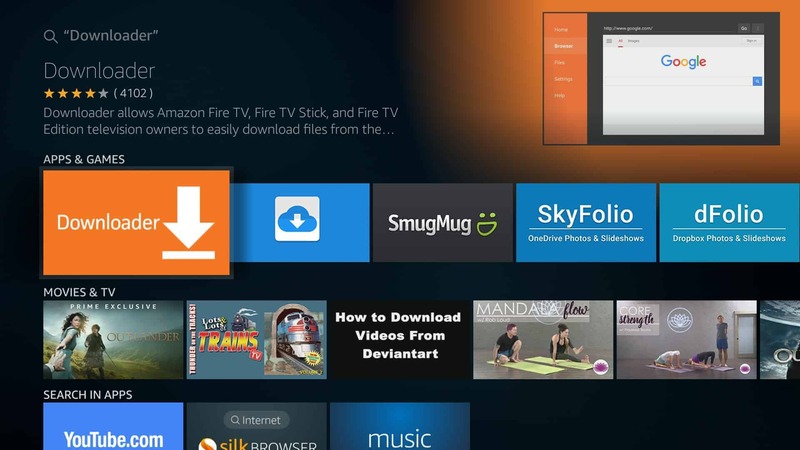 In this post, we’ll explain how you can quickly and easily jailbreak your Amazon Fire TV devices so you can install whichever apps you’d like. We’ll also show you how to install a Virtual Private Network (VPN) on your Firestick so you can stream safely and access geo-locked platforms from abroad. The Amazon Fire TV app store offers a decent selection, but there are probably apps you’d like to install which aren’t available. Luckily, there are ways to bypass the store entirely and install apps from different locations. Don’t worry: this is a lot easier than it sounds. Below, we’ll walk you through the entire process step-by-step. Enable installation of apps from unknown sources in the settings menu. Enter the URL of the .APK file you’d like to install. Follow the prompts to install your chosen app. Keep reading for the detailed tutorial which includes screenshots. Did you know that your Internet Service Provider (ISP) and network administrators can see what you’re doing online? Worse, some ISPs have been known to limit the speeds of customers who stream too much. However, you can keep your activities private, stream safely, and unblock geo-restricted platforms by using a VPN. We recommend using IPVanish; it’s a popular VPN with excellent security, exceptional multi-platform support, and an extensive network of servers to choose from (1,000+ servers covering more than 60 countries). What’s more, IPVanish is very lightweight and has a remote control-friendly interface, making it a strong choice for Fire TV devices. IPVanish allows up to ten simultaneous connections, when most of its rivals permit between three and six. This means you can protect all of your devices with a single account. This service even comes with a seven-day free trial, so you can try it and claim a full refund if unsatisfied. READER DEAL: Comparitech readers can save up to 60% on IPVanish plans with our exclusive discount. There seems to be some confusion about what jailbreaking actually is. Traditionally, jailbreaking (sometimes called rooting) is when you gain administrator access to a system through exploits or custom firmware. This allows you to bypass restrictions and install software that usually wouldn’t be allowed on a given device. Unless you really want to mod the appearance or core functionality of your Amazon Fire TV or Firestick, there’s really no need to root it. Instead, what we’re actually going to do is find a way to bypass the app store and install apps from unknown sources. 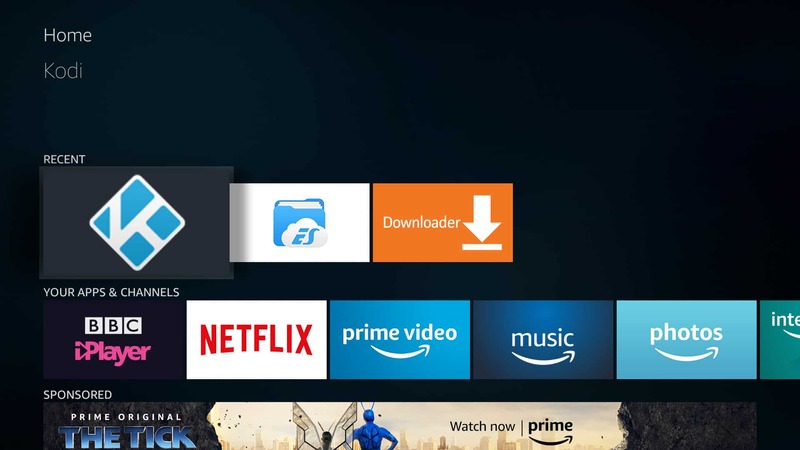 This is a process called sideloading, and it can greatly increase the versatility of your Fire TV device without the risk of accidentally rendering it unusable. Before we can get started, we’ll have to tell the Firestick to allow the installation of apps from unknown sources. This is very simple: just navigate to the Settings menu and click Device. From here, go into Developer Options and enable the Apps from Unknown Sources option. 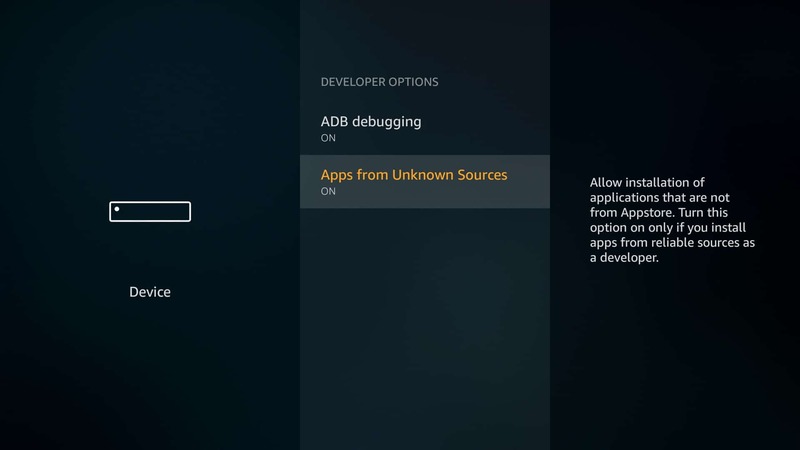 While many other online guides tell you to enable ADB debugging here, this isn’t necessary unless you want to take screenshots from your Fire TV or Firestick. There’s an app available in the Amazon Fire store that allows you to download files from the internet directly, without using one of the default browsers. It’s called Downloader, and we’ll be using it to grab .APK files (the Android equivalent of .EXE files on a PC or .APP on a Mac). To find this app, hold down the microphone button on the remote control and say “Downloader”; you should be taken straight to it. If your remote doesn’t include voice search functionality, you can press left on the Home screen and type “Downloader” (without quotation marks) instead. Now, just press the center button to view the app’s installation page, and click Download. Once Downloader has installed, open it. We’re going to show how easy it is to bypass the app store by installing an app that isn’t available by default: Kodi. You’ll see an address bar with “http://” already entered; add “kodi.tv/download” (without quotation marks) and click the Go button in the bottom-right of the keyboard. The Kodi website will open. From here, click the Android icon and choose the 32-bit version on the following screen. Kodi will begin downloading. Once it’s finished, you’ll be asked to approve its permissions. If you agree, click Install on the bottom-right. You can then choose to open it immediately after it’s installed, if you’d like. 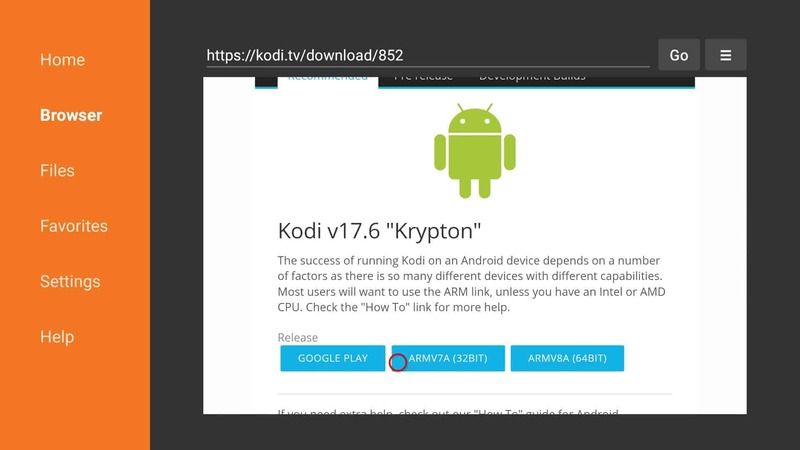 It’s not just Kodi you can install: any .APK file that’s hosted online is fair game. There are a couple of things to watch out for, however. Firstly, Amazon Firesticks and Fire TVs use a 32-bit architecture, so 64-bit applications won’t work. Secondly, you have to make sure that you only download from reputable sources. There are hundreds of sites which repackage existing .APK files with their own adware or malware. In fact, one recent study showed that of more than 1,200 sampled malware-containing .APKs, 86% pretended to be legitimate versions of existing apps. 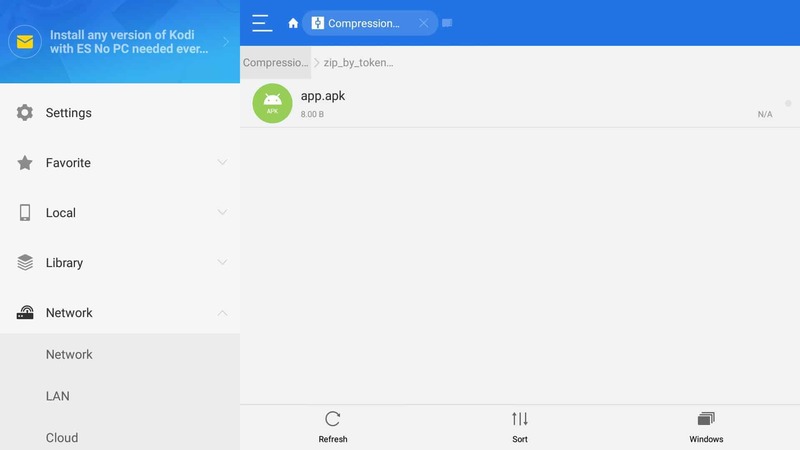 If the app creator doesn’t allow you to download the .APK file directly from their website, you might find a verified, legitimate, and legal version hosted on APKMirror.com. Let’s say you’re developing an Android app and you’d like to see if it works on Amazon Fire TV devices. Usually, people recommend you install the Android Software Development Kit (SDK) and Android Debug Bridge (ADB) on your PC. There are a few problems with this approach. Firstly, installing and configuring the Android developer tools is a complicated process, and well beyond a novice user’s comfort zone. Secondly, this approach requires two screens, which means you’ll likely have to move from room to room whenever you have to use the other device. 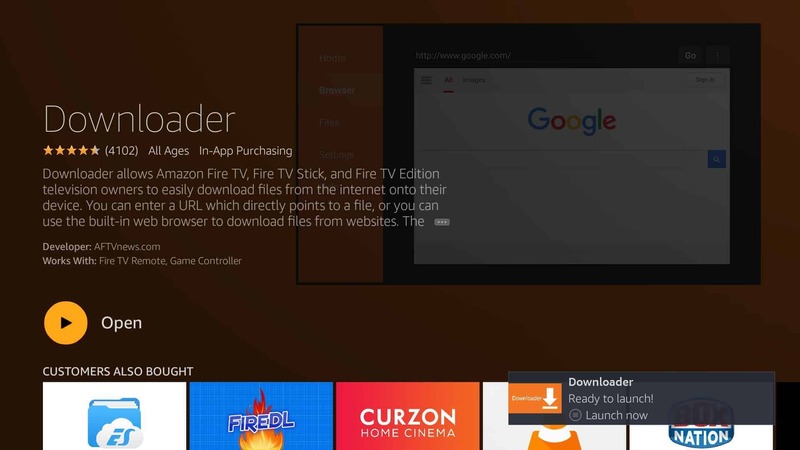 There is a far simpler way to access these apps on your Firestick. 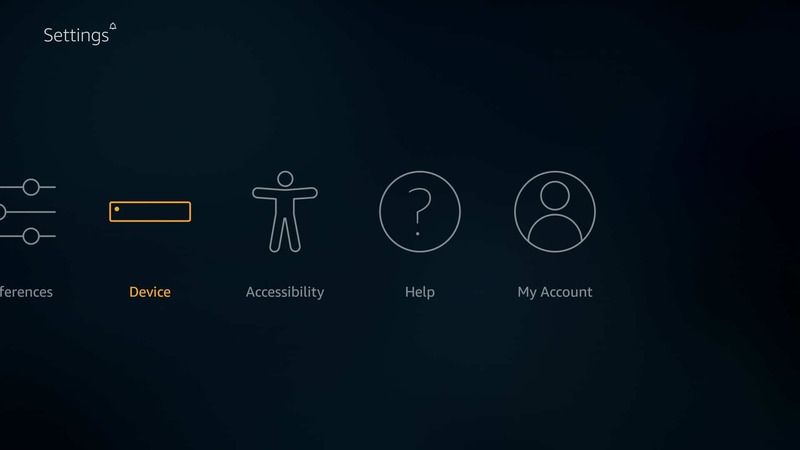 First, on your Fire TV device, install an app called ES File Explorer. Although this app can be difficult to navigate, it’s going to take us directly to the file in the next step, so this won’t be an issue. 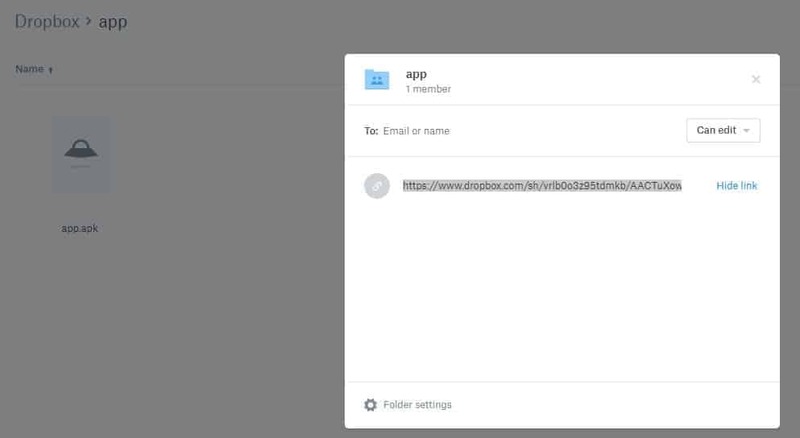 Just upload your app’s .APK file to your Dropbox account. This is a free cloud storage service, and registration only takes a few minutes. 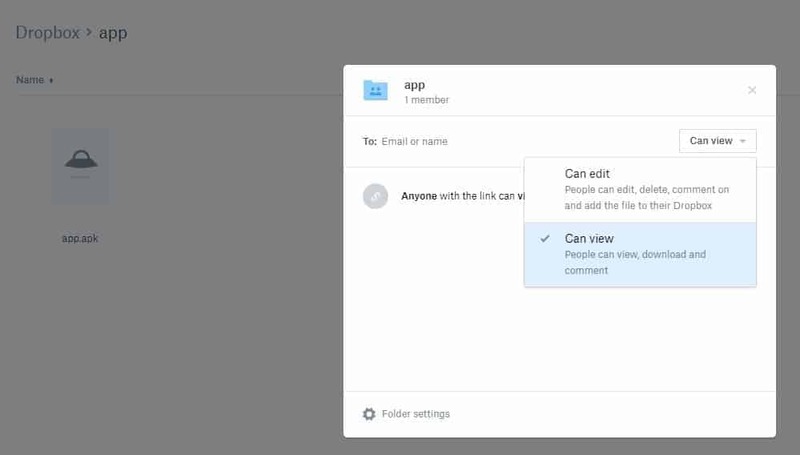 Once you’re logged in and your file has uploaded, click the Share Folder button on the right, and select Can View in the drop-down menu. Then, click the Copy link option to see exactly what URL you’ll have to enter into the Downloader app. You’ll notice that the link you have to copy is very long. This is a minor annoyance, but it’s far quicker to type this in than manually configure the ADB software. To avoid having to navigate Dropbox on the Amazon Firestick, be sure to change the very last part of the URL from “dl=0” to “dl=1”. When you’re ready, click Go. Your Fire TV device will download the app file and tell you it’s stored in a folder named “zip_by_token”. If ES File Explorer is already installed, you’ll be given the option to go there directly. When you do, just click your app’s file to begin the installation. There’s actually very little legislation regarding the legality of jailbreaking devices you own. In the US, the Digital Millennium Copyright Act allows you to jailbreak your devices for personal and non-commercial use. This was brought about after Apple tried, unsuccessfully, to challenge an exemption appeal raised by the Electronic Frontier Foundation in 2009. In Europe, jailbreaking falls under Council Directive 91/250/EEC, which says “a person having a right to use a computer program should not be prevented from performing acts necessary to observe, study or test the functioning of the program, provided that these acts do not infringe the copyright in the program”. Simply: as long as you’re not trying to duplicate the Fire TV’s operating system or profit from Amazon’s copyrighted content, it’s completely legal to jailbreak your device. Does jailbreaking void my device’s warranty? If you “pseudo-jailbreak” your Amazon Firestick using the steps above, it will not affect your warranty in any way. We simply installed a couple of apps from the default store, after all. However, if you decide to alter the standard firmware of a device using third-party scripts or software, and cannot subsequently return it to its factory state, you may well be voiding the warranty. This depends entirely on the company’s warranty policy, so it’s a good idea to read this thoroughly before attempting to root anything. Is jailbreaking my Fire TV stick worth it? 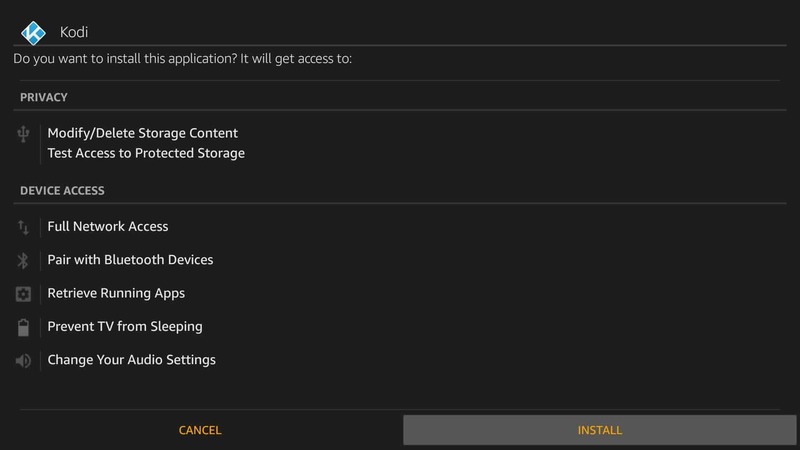 If you can find everything you’d ever want to use in the Amazon Fire app store, there’s no need to follow the steps above: you can just install the required apps and start streaming. However, by jailbreaking your device, you can install apps from anywhere, even if they aren’t available by default. This significantly broadens your choices, and enables you to install newly-released apps before they’re even introduced to the Amazon store. These factors alone make the Downloader app worth installing. How long does jailbreaking a Firestick take? You can go from enabling Installation from Unknown Sources to streaming in under ten minutes. Obviously, the time taken will increase if you have a particularly slow internet connection, or if you’re trying to download an unusually large file, but most apps should download in two minutes at most. What are the risks of jailbreaking my Firestick? There aren’t any, as long as you follow our guide. If you decide you don’t want any of the apps you’ve installed via our method, you can simply press the Menu button on the remote and uninstall them as you would any other app. In the worst case scenario, an installed app might crash your Firestick or Fire TV. If this happens, it’s more than likely the app hasn’t been coded properly, or you’ve accidentally installed a 64-bit version instead of the 32-bit one. Just reboot your device, uninstall the app, and reinstall the correct version, and everything should work as intended. It’s important to note that you are responsible for vetting the apps you sideload onto the Firestick. The apps in the Amazon store are checked for legitimacy, but if you install apps from a different source, there are no such protections. You can mitigate the risk by only installing reputable apps hosted on trusted platforms like APKMirror.com. First, register for a suitable VPN service. We recommended IPVanish above, but ExpressVPN would make an excellent alternative. Install the Android version of your VPN’s client, either directly from the Amazon Fire TV app store, or by following the process below. Decide which app you’d like to unblock and find out which countries it’s available in. Connect to one of your VPN’s servers in the required location. Try using the app. You should find that the content loads almost immediately, without any errors. Note that you may have to restart the app and clear its cache first.